With glue equipment that has up to four heads, we can meet the needs of your company's production volume, whether it's small, medium, or large. 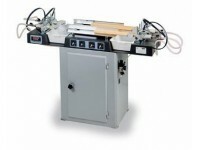 Our glue equipment optimizes every gluing operation and reduces working time. Precise glue delivers avoid wasting glue as well as helps with obtaining a better tightness and higher quality finished product. We offer Stainless steel pneumatic feeders for PVA glues, in the A8 - A20 range. These are ideal for small and medium series, for both panel and solid timber processing such as dowels, chair slots, tenons and slots for door/window frames and shutters. 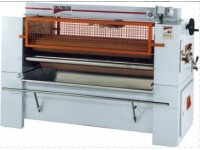 Our Semi-automatic gluing machines need no electrical connections, as they have been designed to work pneumatically. Developed for professional, handicraft and industrial applications to glue special profiles and joints such as kitchen cabinet doors and dovetail joints, as well as to glue dowels etc.